• HDR Smart Structure technology to deliver the precise amount of details, structure, and sharpness in an image without creating excess artifacts that can make an HDR image look over-the-top. • A new LUT Mapping Filter to add custom image styles included with the software or downloaded from third-party LUT (lookup table) suppliers. • New one-click Aurora HDR Looks to instantly add a range of preset HDR styles to your images. You can download the trial version or purchase Aurora HDR 2019 from the Skylum store. Click the link to see the latest deal. Existing Aurora HDR users can upgrade at a reduced price. HDR photography can create the most spectacular landscapes, night shots and interiors from the most unpromising of conditions. Many scenes have too big a brightness range for the camera to capture, and even if it is possible to capture the full range of tones, the resulting image has too much contrast for a visually satisfying result. HDR tools, however, can compress, control and enhance the contrast within the image to reveal a full range of tones and details in the brightest and the darkest parts of the picture. There are many HDR tools on the market but Aurora HDR is one of my favourites. It’s been developed in conjunction with HDR expert and travel photographer Trey Ratcliff and comes with a selection of striking preset HDR effects backed up by manual adjustment tools that let you modify the presets or even create your own from scratch. 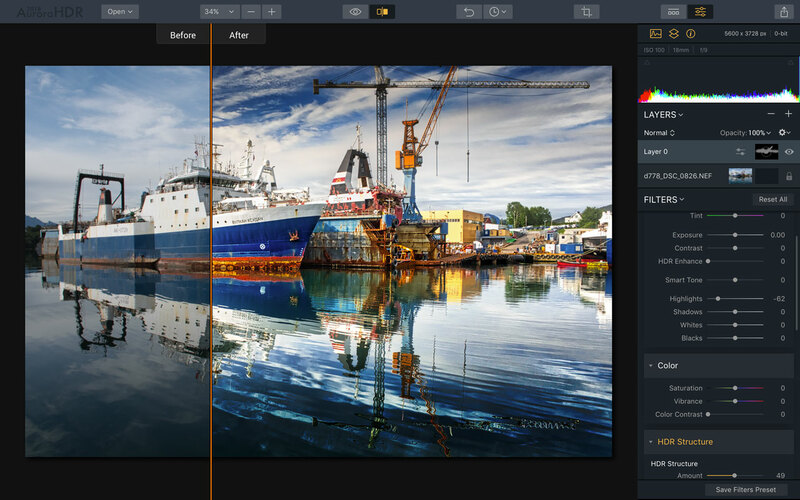 Aurora HDR is both a plug-in and a standalone application for creating HDR images. You can merge a set of different exposures of the same scene (the best method) or apply the tools to a single image. It comes from Skylum software, creator of Luminar 3 and Luminar Flex.